Out of all my newest Christmas music I've received, this by far is my favorite. Jeremy Camp's Christmas: God With Us, is just wonderful. Both my husband and I have enjoyed listening to it this past week. Not to mention, Jeremy is pretty good looking on the eyes, lol. This album is Jeremy's first full length Christmas project within his 10 years of being in the music industry. It's filled with Holiday spirit with classic songs that have been updated for this generation, like, Jingle Bell Rock and Let It Snow and was definitely worth the wait. Jeremy's voice is smooth and is a delight to listen to. This album has ten songs on it and I can listen to these ten songs over and over again. Looking for a twist on some good old classic Christmas music then look no more, this is hands down one of my favorites and will be on my playlist for years. You can check out more info on Jeremy and his music via his Facebook and Twitter pages! Disclosure: All opinions are my own. 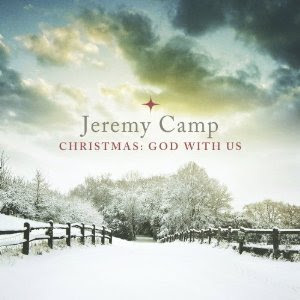 I received Jeremy Camp's Christmas: God With Us for the purpose of this review. No other compensation was received. Thanks to the company for the giveaway prize.